We make clothing that looks as good as it feels, inside and out. 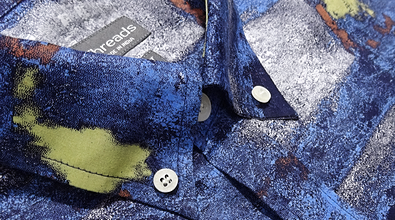 We’re not into big marketing campaigns or hype: we just want to give you amazing threads that feel as good as they look. Clothing that’s 100% sourced from ethical factories. Clothing that won’t break the bank. Clothing made by people who are given fair wages, good working conditions, and hope. The fashion industry today employs one sixth of the world’s population: many work in unsafe, unfair and demeaning conditions (without the benefits of a stable paycheck). Most are women; many are children. This has to change. And just like that, a company was born. A company without a huge marketing budget to pay for, a company without huge overhead to worry about, a company with just one mission: feel-good clothing for good people. We’re here because we know there are people like you who will do the research themselves and find us. People who don’t want to pay a 10x markup for a shirt. People who aren’t willing to sacrifice their values for fashion. Good people who want to look their best (and feel great about it). So, welcome. We charge reasonable prices for threads you can trust: threads that are quality, threads that are hip, threads that are affordable, and threads that are ethical. The clothing we sell is made by human beings who are treated with dignity, fair wages, and safe working conditions. Beyond just responsible clothing, our company is 100% committed to our philanthropic work.